This is a good, workmanlike Erimem adventure, a wild and scary ghost story in the haunted Himalayas. 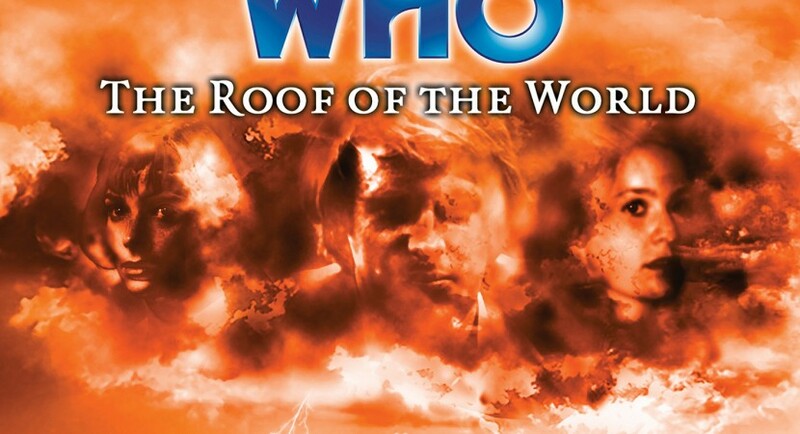 For all his critique of the British Raj, the Fifth Doctor is hopelessly rooted in that era. This time he’s taking Peri and Erimem to a cricket match in Tibet, offering Erimem a chance to see beautiful landscapes unimaginable to a child of the desert. Their adventure starts with delightful sightseeing and some lovely character moments between Erimem and Peri. I’ve enjoyed how the addition of Erimem has allowed Peri to blossom, taking the younger woman under her wing as friend and rookie adventurer. She and Erimem debate tough ethical questions in between joking about the Doctor, causing mischief in the TARDIS and reading Lewis Carroll. It’s the kind of rich female friendship I kept wishing to see developed more fully in Nyssa and Tegan. Of course, dark forces soon turn their voyage of discovery into a nightmare. Ancient powers are stirring (where have we heard that before? ), and Erimem discovers old fears she’d rather forget. Part II is a tour de force for Erimem’s actress Caroline Morris, with Peter and Nicola serving as fantastic foils for part of her hellish descent. Meanwhile, the Doctor and Peri must pool their wits and skills— even Peri’s stint as an unpaid archaeology intern for her stepfather proves useful— trying to uncover the mysterious forces threatening them and their friend. There’s some lovely moments when the Doctor relies on Peri and trusts her with a dangerous mission. Supporting characters/actors are excellent: the blustering General, the long-suffering young man whose thankless duty it is to chronicle his exploits, the sinister yet chivalrous Lord Davey, and some charismatic cameos with Erimem’s father. Unlike some Big Finish audios, this one doesn’t try to do too much or juggle complex story threads. It’s a good balance between engaging character sketches and exciting action/horror. Some of the exposition scenes explaining the antagonists’ raison d’être drag a bit, and I question a few details of the Erimem flashbacks which didn’t quite match Eye of the Scorpion, but these are minor quibbles. It’s a well-crafted story. Not a masterpiece, but an exciting, spooky adventure that’s worth a listen if you like any of this TARDIS team. I love Erimem, and I suspect this writer read the notes about her character’s backstory but didn’t listen to Eye of the Scorpion. So flashbacks include a priest whom Erimem is absolutely content to put her faith in, even though priests scheming against her were a thorn in her side in Eye of the Scorpion. Also, part of the reason she traveled with the Doctor was that she was a rationalist who did not believe she was really a god. She was agnostic, at the least. Yet in this audio, her beliefs about the afterlife are more conventionally ancient Egyptian, and she’s shocked when they turn out not to be as she was taught. The “afterlife” scenes between Erimem and Peri are incredible: the elaborate deception in which Nicola as “dead” Peri gets to be devastatingly brutal, and the heartwarming struggle to bring Erimem into the TARDIS, when Peri’s fighting for her friend every step of the way. I love the bond between them. Also? Sometimes Big Finish audios have a reset button as egregious as classic Trek, in which someone can undergo extreme physical, mental, or emotional trauma yet be cured, happy and fine by the final few minutes of the story. For example, Creed of the Kromon. This one got it right without descending into post-Colditz levels of self-pity. Erimem’s not broken, but she’s changed by her experience. I loved the Doctor’s little heart-to-heart with her afterwards, comforting in his own bluntly honest fashion. It was a desperately-needed coda.